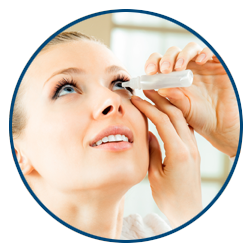 Home » Specialty Contact Lenses » EyePrintPRO™ » Why is EyePrintPro™ different than other specialty lenses? Not all contact lenses are created equally. For the average individual, choosing their next pair of contact lenses isn’t a hard decision to make. 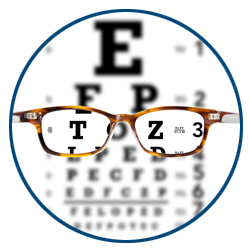 You schedule a visit with a local optometrist, get a routine contact lens exam, receive your prescription, and you proceed to checkout to purchase your annual supply of contacts. In under an hour, you’re all set for the year. However, for certain individuals, contact lenses are not so simple. Whether you suffer from impaired vision due to an irregular cornea, such as from keratoconus or an irregular astigmatism, chemical burns, or post eye surgery like a corneal transplant, the basic contact lenses that are sold not only fail to provide good quality vision but can even lead to pain, irritation, inflammation, and possibly a cornea abrasion. While some eye doctors will rely on contact lenses for astigmatism, toric contact lenses, or gas permeable lenses which do help correct mild cases, For those patients with a more severe cornea irregularity, turning to a contact lens expert who can fit a variety of high-end contact lenses or special to contact lenses can often lead to a satisfactory treatment without the need for eye surgery. 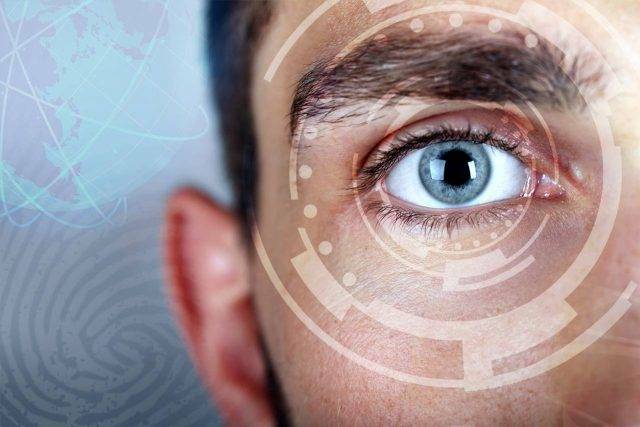 At Eyesymmetry Vision Center, we offer our patients the opportunity to take advantage of EyePrintPro™, possibly the leader in custom contact lenses technology. Unlikes contact lenses that are mass-produced, or even slightly customized paste on corneal topography, EyePrintPro starts off by creating a prosthetic lens or mold of your exact eye. By calculating the exact curves of your eye’s shape, the only can we create a lens that is unique to you, but it will prevent the contact lens from moving on its own which often causes blurry vision, discomfort, or unsatisfactory results. Plus, by taking a very precise measurement of your eyes shape, EyePrintPro has had over 90% patient satisfaction within two fittings! If you consider that other contact lenses may take several fittings to get a comfortable fit, that’s a very impressive number. Not only do you have a better chance of getting faster, but you won’t end up worrying about wasting time or money. 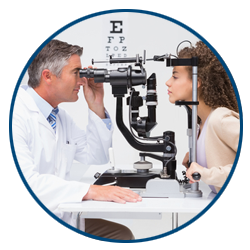 EyePrintPro™ utilizes the same technology found in scleral lenses. 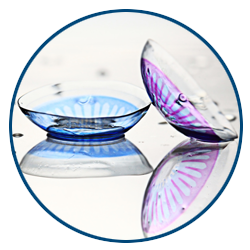 The lenses are FDA-approved with oxygen permeable material. The lens isn’t fitted on a curve but through elevation specific technology to match the lens based on your eye. The Tangible Hydra-peg technology improves surface wettability, increase lubricity, and reduces lipid and protein deposition. In short, the lens can be inserted comfortably, remain in place, and vaults over the cornea to ensure the cornea isn’t harmed. EyePrintPro™ is used by certified practitioners to treat eye conditions due to keratoconus, trauma, deformity, pellucid marginal degeneration, chemical burn, post-lasik, prk, or rk, post corneal transplant, pinguecula, pterygium, severe dry eye, and after glaucoma surgery.